Are you looking to start your next home remodel or new addition project? Dotson Development brings over 30 years of experience in residential construction. We can handle both large design-builds as well as smaller additions. We even offer residential elevator installation within existing floor plans. 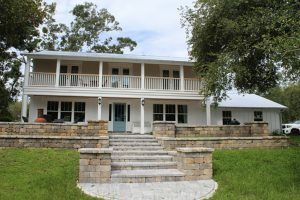 Having been in business in the Northeast Florida area for over 30 years, we have an excellent knowledge of the building code and understand how to tie into existing structures when doing additions. We pride ourselves on being 100% transparent with our clients. We are able to work on both fixed price contracts as well as cost-plus. We ensure you understand where every dollar of your money is going throughout the project. Based in St. Augustine, FL, Dotson Development offers our remodel & addition expertise throughout Florida including Ponte Vedra, Palm Coast, Jacksonville, Flagler & beyond. First step with any project is an initial introduction and background on what you need complete. Contact us today! Based on discussions and on-site inspection (if applicable), we'll provide a proposal of service and layout an expected timeline. We get to work based on agreed proposal. We strive to deliver every project on time and on budget. Attention to detail is a top priority. Dotson Development has been owned & operated by Denny Dotson in St. John's County for more than 30 years. Dotson Development has extensive experience in new custom home construction, commercial construction & renovations, residential remodels & repairs as well as residential elevator installation. Our experience & attention to detail is what differentiates Dotson Development. We look forward to working with you in the near future!